F85- Nepal 2007. ICC Cricket World Cup. Item for sale on my online shop. F84- Nepal 1999. 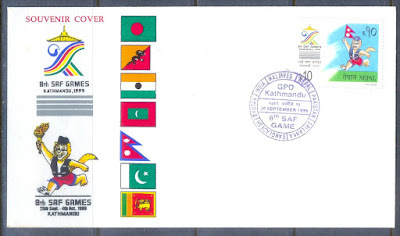 8th SAF Games. F83- Nepal 2016. 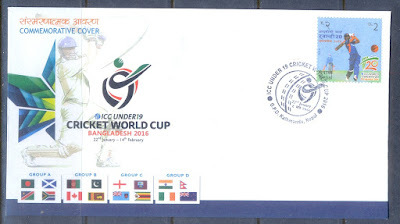 ICC Under 19 Cricket World Cup. F81- Nepal 2002. 11th SAARC Summit, Kathmandu. Quaid-e-Azam Mohammad Ali Jinnah Related philatelic Material Required. LIST OF COUNTRIES WITH YEARS. Postal Address:- `PRAKRITI NILYAM’ C-36, Chandra Prabhu Society, Lam Road, Devlali Camp-422 401. M.A. (POLITICS, PHILOSOPHY & ECONOMICS) N.D., T.P.T., M.D. (ACU). My name is Yogiraj Dr. Sarvesh Soni, I have many Hobbies like collecting Autographs, Bank Notes, Coins, Stamps , Phone Cards, mainly & important hobby is to collect original Autographed Photographs of V I P’s. Up till now I have collected more than 20,000 Autographed Photographs which includes 205 Countries President, Prime Minister, Royals, Governor Generals, Kings, Queens, Noble Price Winners, & also other V I P’s. I also have original Autographs of Mahatma Gandhi, Hitler, Noble Scientist Einstein, Abraham Lincoln & others. I am also two times Record Holder in Limca Book of Records in the year (2010, 2011) & also in 2011 my name is recorded in India Book of Records. By birth I am Spiritual person , I have written several Books on Spirituality, Yoga, Naturopathy, Mudra Therapy, Color Therapy, Acupressure, Ayurveda , Etc.. Which have already been published in Different Languages. As I have Travelled Many Countries on Bi-cycle, so I am also World Cyclist with A message of Love, Peace & Brotherhood. I am also Interested in Making Letter Friends, & I also reply to each letter written to me by my Friends. I also send Autographs, Bank Notes, Coins, Stamps & Phone Card which I have double through letters to all those friends which have same Interest of collection like me. I never sell my collection & only Exchange them. I heartily welcomes all Collection Collectors from all over the World to my Mother Country India, I want you all to be my Friends. I am a stamp collector Spanish. I have all the stamps released in Spain since 1990. My philatelic interest are the lighthouses around the world. I'm not shopping, just to trade. Name:- Feng Yi Jia. Age:- 16Years. Postal Address:- jian chang dao jie, yan yi li 12 – 208, he bei , tian jin 300240, P R of China . Want : I collect mint and all complete set stamps \sheets \ Maximum cards and FDC ,Theme are : Olympic games \WWF ( animals)\Train \ ship\ lighthouses \mushrooms\ Joint issued \ Car \ famous people \about China things and other . Offer : I can offer mint and all complete sets stamps \ sheets \ Maximum cards and FDC of China \ HK \ Macao and other some countries for your want ! I can offer all mint stamps \ sheets and FDC of 2008 Beijing Olympic games .Also, I can offer mint Maximum cards from China and other countries. I want mint Maximum cards from W/W. 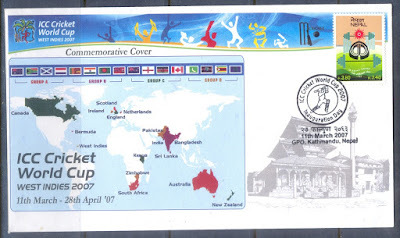 The Great Indian Hobby Academy, Jaysingpur, India - exchange view cards, postcards, Envelopes, First-day Covers, and Other Postal Articles in worldwide. If any one if interested in Indian Philately then kindly send your exchangeable material and on receipt we will dispatch our Materials. 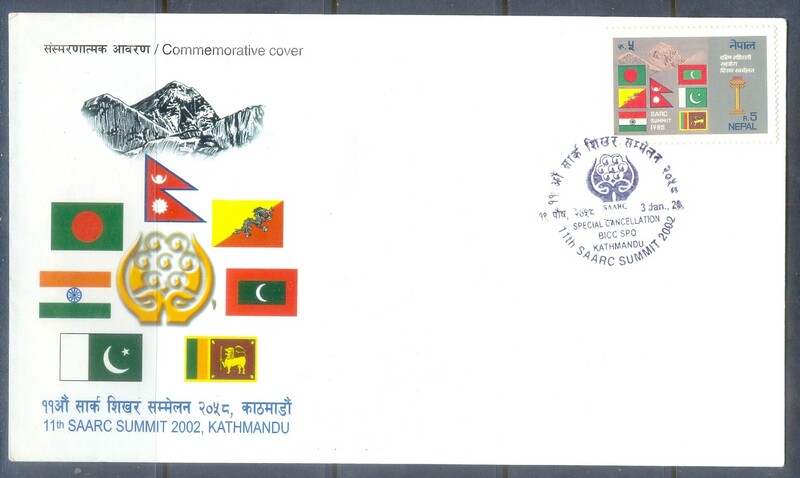 Exchange/Trade W/W Stamps, Postal Covers/ Stationery, Phonecards,B.Notes/Coins. covers & Thematic cancellation on covers. Date of Birth:- 20 - 10 - 1948. Themes:- WILD LIFE ON STAMPS, PHILATELY ON STAMPS FAMOUS INDIAN, PAKISTANI & IRANIAN PERSONS ON STAMPS. My online Store "HOBBY CORNER"
Money Bookers Safe and Secure Online Payments Options. Send Money Around The World. Click Here.